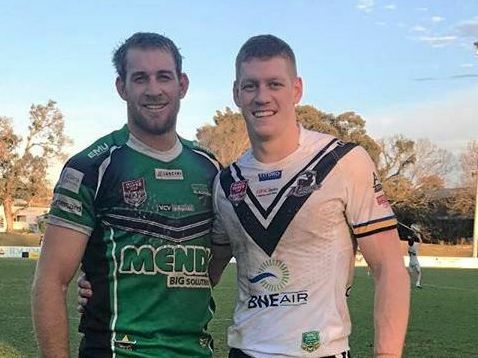 Rugby League: Two Emerald junior players have kept the dream alive and are now playing for two prominent National Rugby League teams. 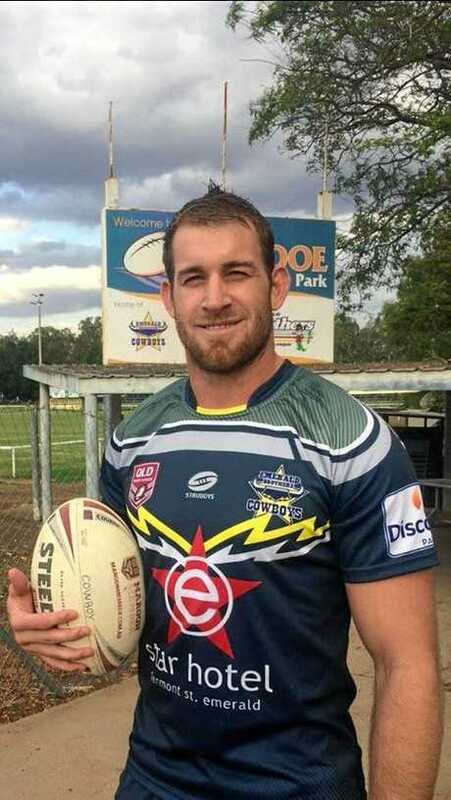 Andrew Davey, 27, has loved the sport since he was five-years-old and played for Emerald Cowboys as a junior before he moved to Mackay and was selected to play in the Intrust Super Cup. "Every kid's dream is to play NRL so it was always something I held very highly," he said. "I played Intrust Super Cup for three years, two in Mackay and one in Townsville." Since then, Davey has worked hard at the sport and his efforts have paid off, recently receiving a contract from Paramatta Eels. "Getting a contract from Parramatta has been by far my biggest achievement in life so far," he said. "At the age of 26 I had thought that ship had sailed and I had missed my opening to make NRL due to being to old. "I'm in the top-30 squad, so every week a team is picked from that to play NRL and whoever doesn't make the cut goes back and plays for Wentworthville, which is the cup side." Despite having years of experience in the sport, Davey said pre-season was tough, "definitely the hardest thing I've ever done". "The body gets a rude shock the first couple weeks until you adapt to the load. "Just going to training every day sounds easy until you do it." Davey said rugby league was "a tough sport and no one is going to hand you the golden ticket", and he is working to encourage younger players. "You have to work hard and believe that what you're doing is what makes you happy and that you will stop at nothing to get where you want to be," he said. "When I played for the Emerald Cowboys we made sure we had a strong tie to our juniors and I hope that what I have done and what I continue to do with the help of Verz (James Verzeletti), gets kids actually playing the game they love and growing our sport." 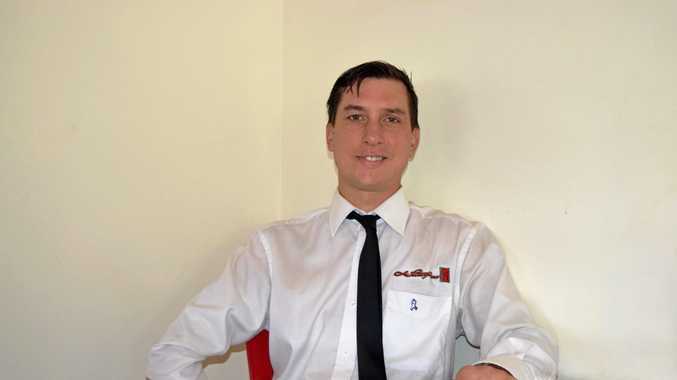 Twenty-two year old Daniel Russell grew up playing for Emerald Brothers and has "enjoyed every moment of it and have never looked back". Since then, Russell has also played in the Intrust Super Cup and stayed on with South Logan Magpies after the Broncos under-20 side. 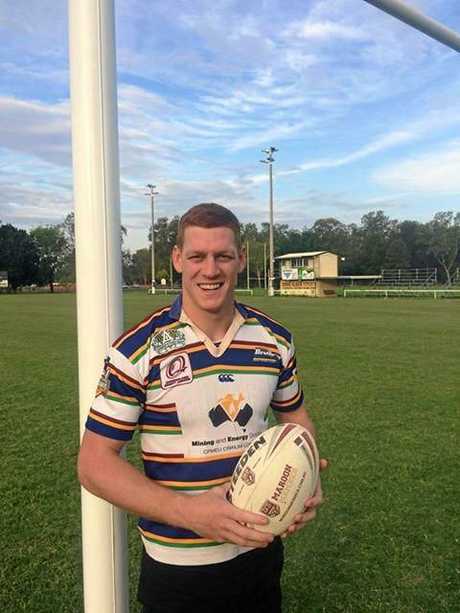 He has now been selected to play for the North Queensland Cowboys. "Words can't describe the feeling, it's unbelievable as it's every kid's dream like mine to make it," he said. "Pre-season is as tough as I expected but I'm absolutely loving the full-time schedule." Russell said it was important for local players to "train hard and believe in yourself" for a chance to make it. Debuting for the Cowboys has been his dream and he will "definitely take this opportunity with both hands". Future goals/aspirations: Play for the Cowboys and to also represent my country and state.